The desert southwest has long been a place of inspiration to creative souls, and today more people are imitating this lifestyle, albeit not in the southwest. No matter where you live, if you would like an adobe-style, or Spanish Renaissance-type home, there are many ideas to be had from these pages. 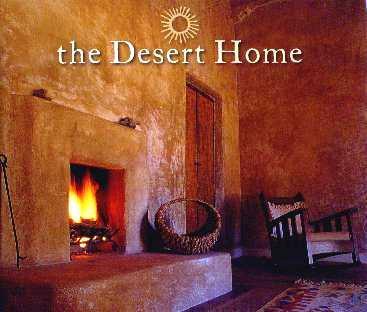 We are treated to a peek into a variety of homes (exterior and interior) ranging from those in the desert regions, to western lifestyles. Author Tamara Hawkinson also gives us a little insight as to who lives in this region, the prices of homes, and some outdoor living. Beautifully illustrated with tempting photographs to lure you into the scenes. But, this isn't just a lot of photographs; there is also a little history about the areas (and the various house styles) so that one can comprehend the different shapes and styles that are prevalant today. Tidbits of information abound, like for instance, the saguaro cactus only sprouts its first "arm" when it is fifty to seventy-five years old, and it can live for 200 years. My favorite homes are the ones on pages 50-55 and 108-115, and I loved the patio on page 137. There is so much beauty you can incorporate in your own southwestern-style home. I also love the high ceilings which are so common. Conclusion - A beautiful book and an interesting read.